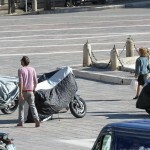 Spy photographers have captured Honda‘s new three-bike 500-series in the midst of filming for a commercial at the Piazza Garibaldi in Naples, Italy. 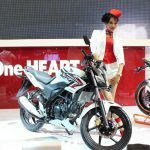 The images, published on Il Centro, reveal Honda‘s new sportbike-styled CBR500, the naked CB500R which we first revealed in September, as well as an adventure-styled model bearing the name CB500X. 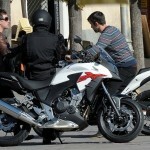 The three new models are expected to share the same engine, believed to be a 470cc parallel twin. 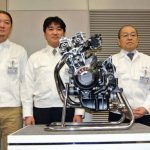 Horsepower should be about 47hp to fit under European licensing regulations, though units destined to other markets may have different specs. 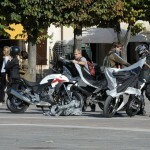 All three models appear to be equipped with telescopic forks, single front disc brakes and fairly neutral ergonomics. 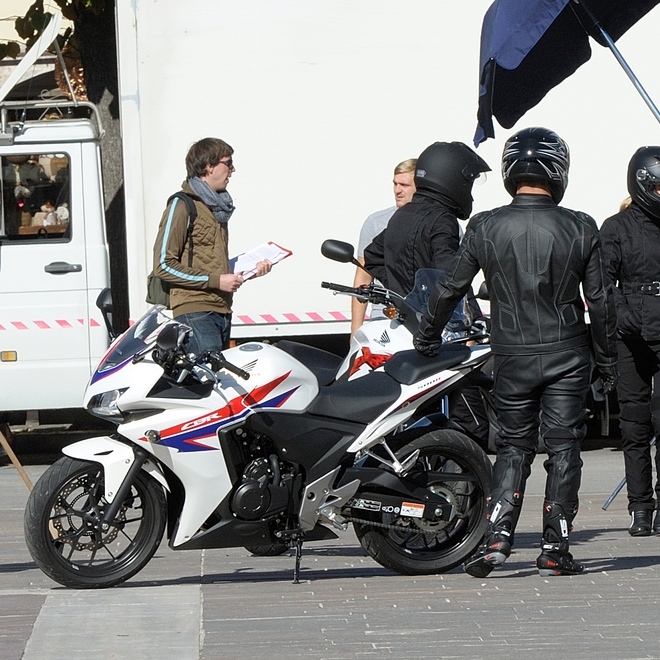 Though it probably has much more in common with the CBR250R, the CBR500 is styled to resemble the much larger CBR1000RR. The CBR500 is also expected to be the basis for the recently announced 2013 European Junior Cup which will compete at some World Superbike Championship rounds. 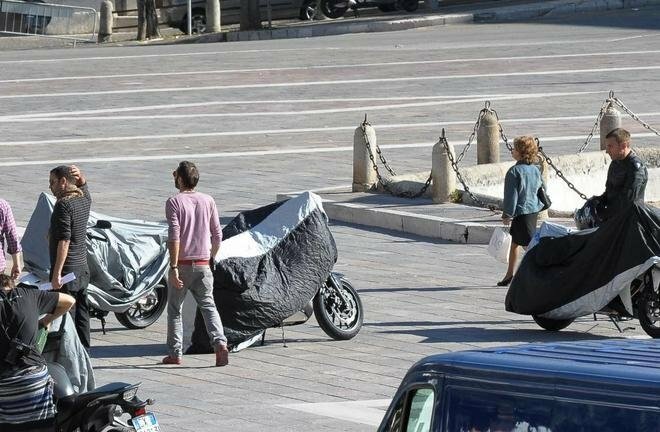 It isn’t shown very clearly in these spy photographs, a previously leaked photo shows the CB500R inherits its styling from the CB1000R. 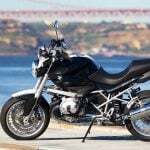 The third model, bearing a large red X shares styling cues with the Honda NC700X as well as the Honda Crosstourer as the adventure bike version. 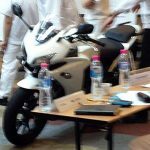 Honda’s new 500 series models will be produced in Thailand, which should keep the MSRPs low. It’s too soon to tell however, which of the three will be available in the U.S. 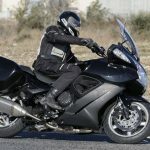 The CBR500 is the surest bet, and possibly the CB500X, but the CB500R, like the NC700S, may not be as appealing to U.S. consumers. 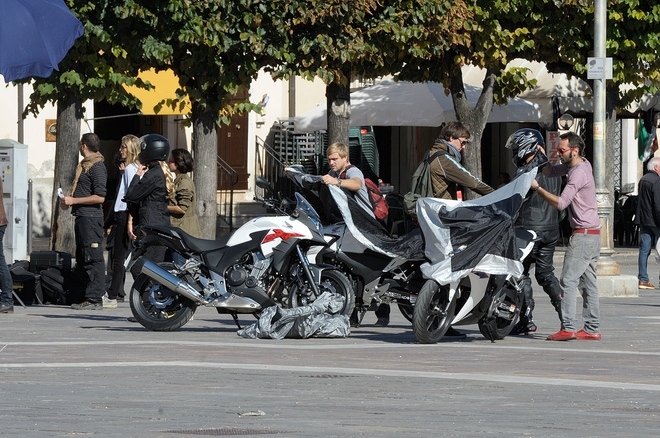 All three models are expected to be revealed Nov. 13 at the EICMA show in Milan.